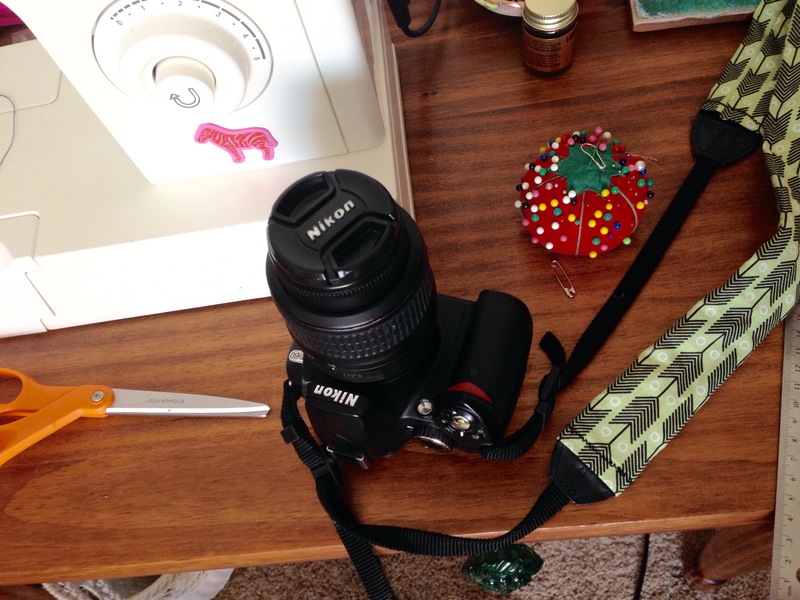 I’ve been wanting to make a cover for the strap of my camera so I don’t look like a tourist with the factory strap. I had some time since we got all that snow so I sat down and made one, which didn’t take much time at all! If you make one you’ll have to measure out your strap. 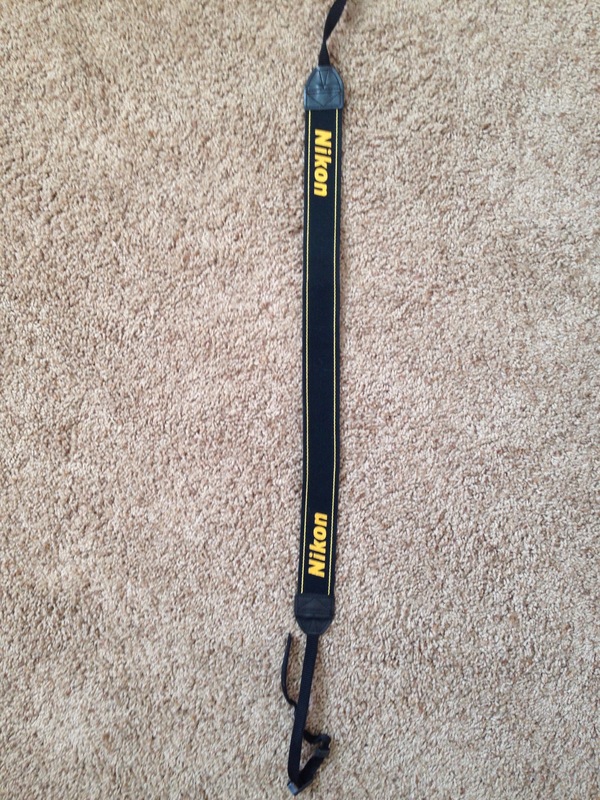 Mine is a Nikon and it was 20 1/2″ long and 1 1/2 ” wide. 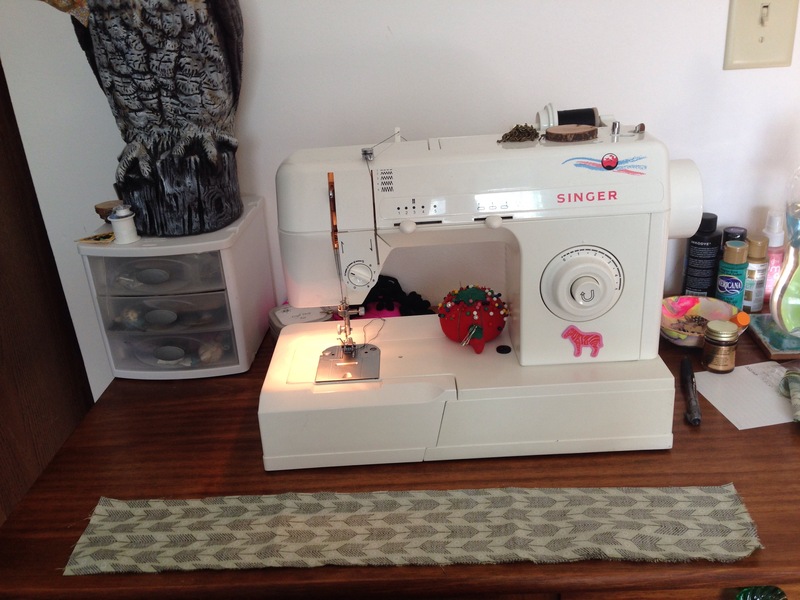 I cut the fabric out 22″ long so I could fold it over twice on each side and sew a 1/4″ hem. 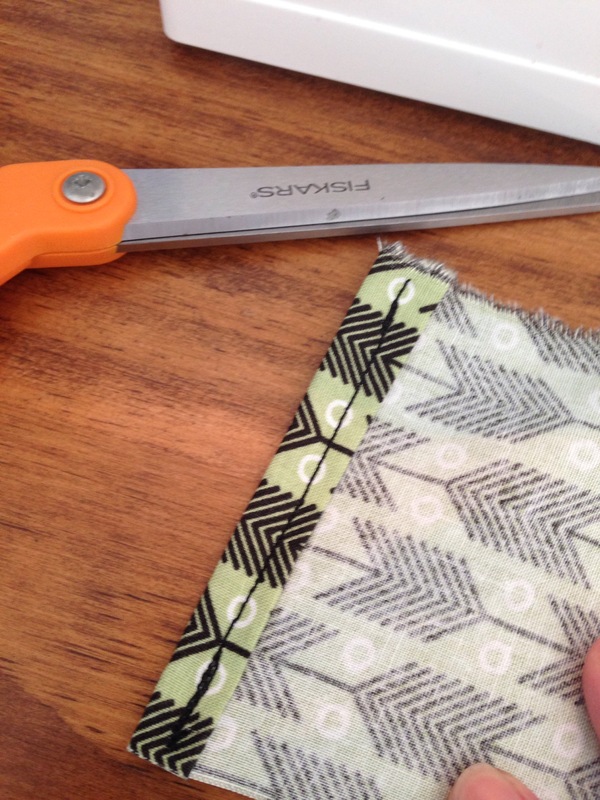 I made it 4″ wide so I could fold in in half and sew the seam. 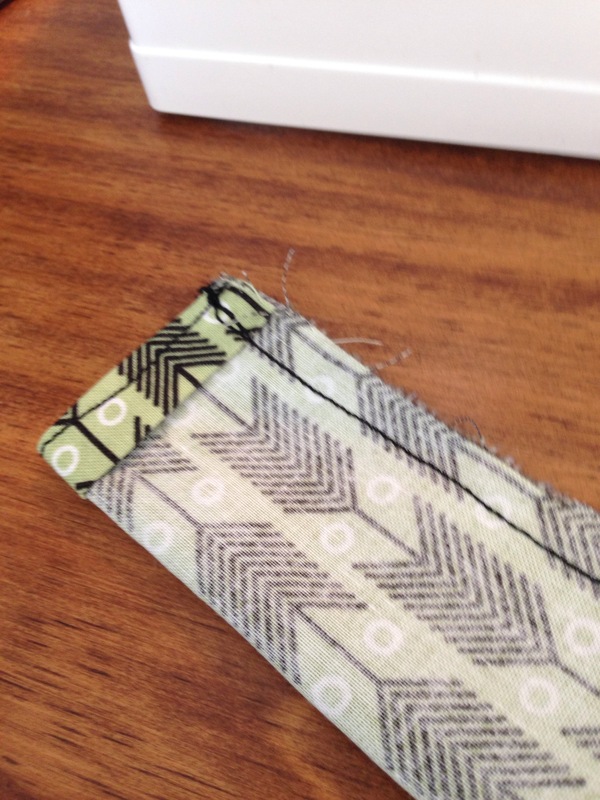 For whatever reason my machine would only sew a zigzag seam so yeah…, oh well if that’s the worst that happened! After everything is sewn use a safety pin to turn it right side out by pining an end and running it through to the other side. 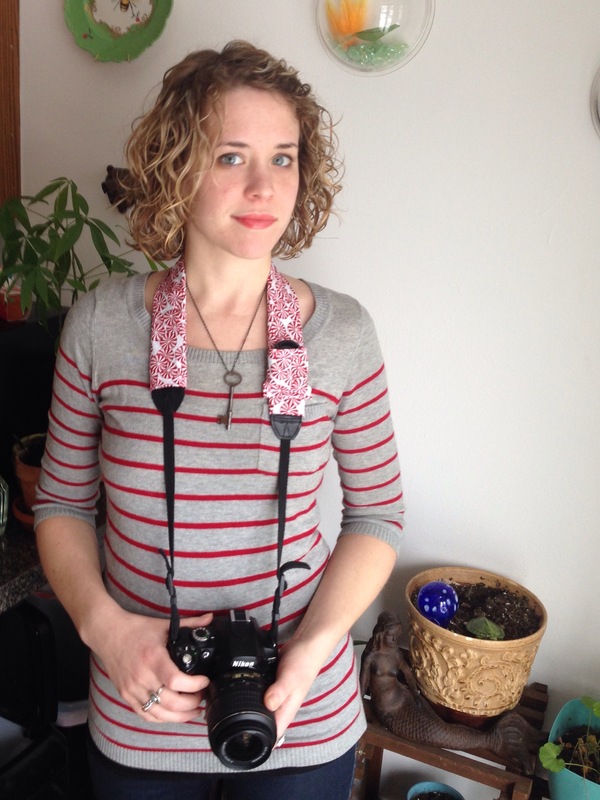 I also used a safety pin on the end of my camera strap to feed it through the cover. I made mine fit snug on the ends so that it wont ride up when I’m using it, but you can make yours however you want! I had some fabric left from my kimono that I liked so I used that and then made another one out of some peppermint fabric that a friend had given me. I was saving it for the perfect project but I tend to do this with things and then they never get used! I had originally planed to make a pocket for my lens cap, but my cap is quite a bit wider than the strap so it would have to really stick out. Maybe I’ll add one later, we’ll see, but again up to you! Love this. 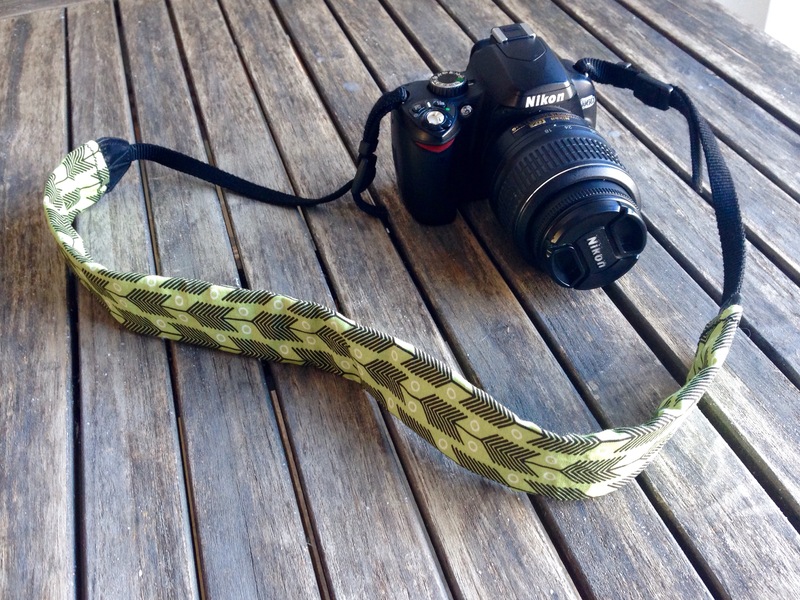 It’s inspired me to do something with my boring strap! I don’t suppose you have any links to a nice camera case do you?! Thank you! I haven’t made any camera cases yet but that’s not a bad project idea. Maybe I’ll see what I can find!